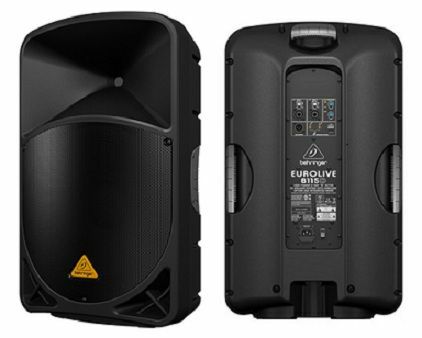 The Behringer EUROLIVE B115D features a 1,000-Watt Class-D power amp, built-in wireless microphone capability and exceptional portability. These loudspeakers run cool, are lightweight, and sound great. Size: 28.1" x 16.8" x 12.3"